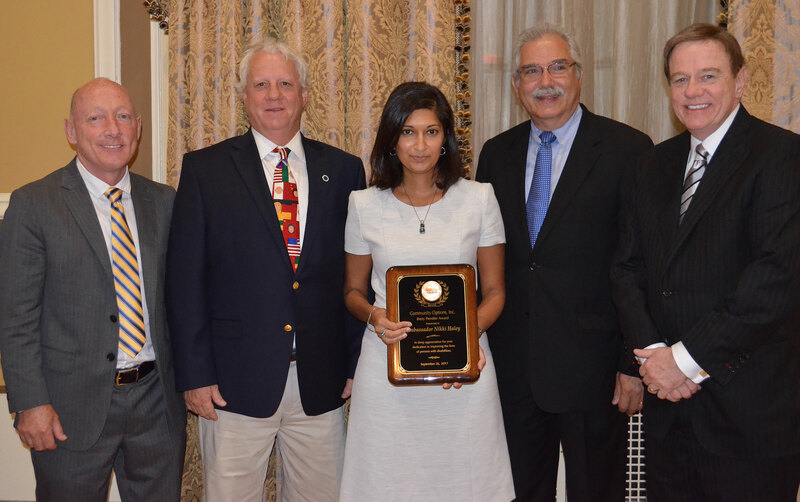 Governor Nikki Haley | Community Options, Inc.
From L to R: James Spano, Trustee, Community Options Enterprises; Peter Dulligan, Trustee, Community Options, Inc.; Swati Patel, then-governor Nikki Haley’s chief of staff; Robert Stack, President & CEO, Community Options, Inc.; Philip Lian, Trustee, Community Options Enterprises, Inc.
Swati Patel, then-governor Haley’s chief of staff, accepted Community Options’ most prestigious award, the Betty Pendler Award, on Ambassador Nikki Haley’s behalf at Community Options’ 11th annual iMatter Conference in Charleston, South Carolina. 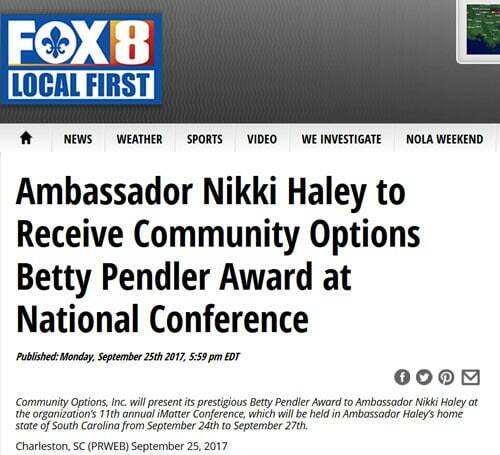 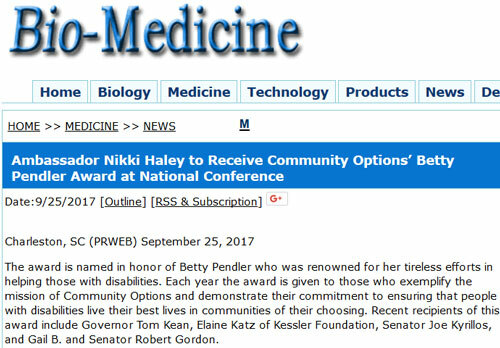 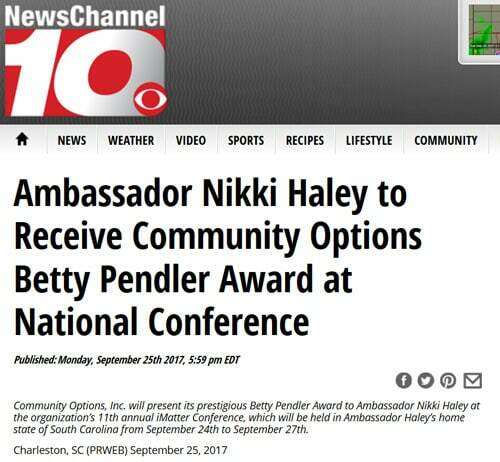 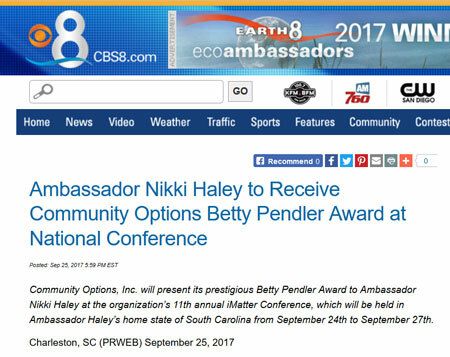 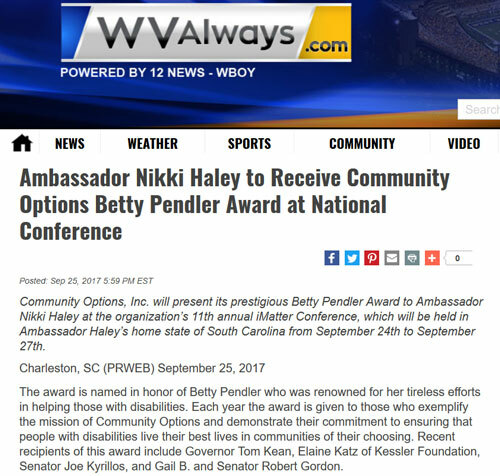 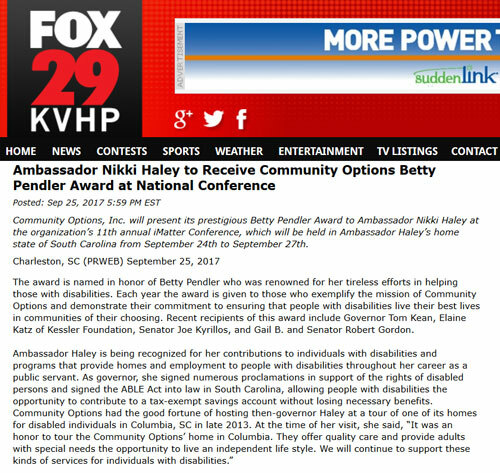 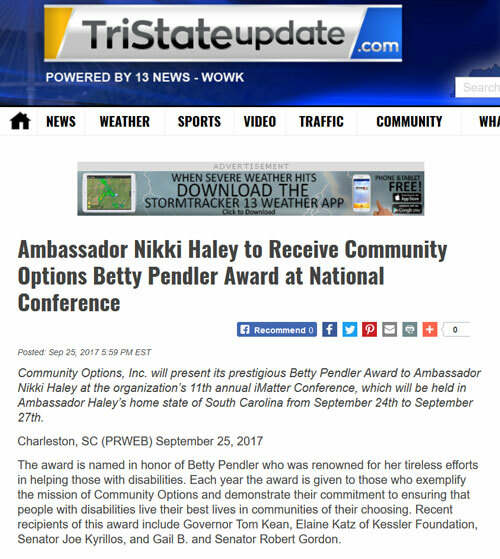 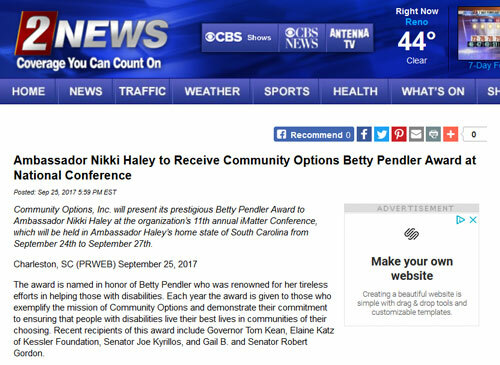 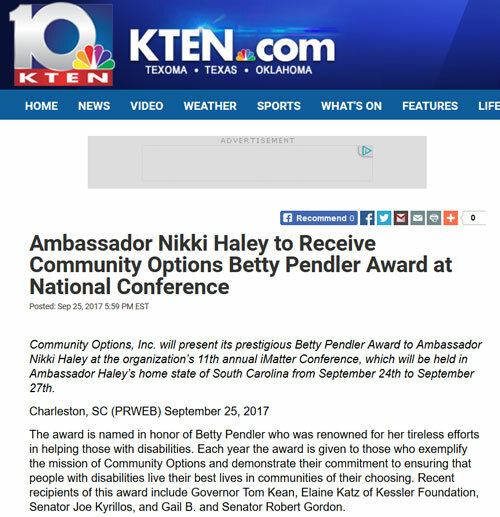 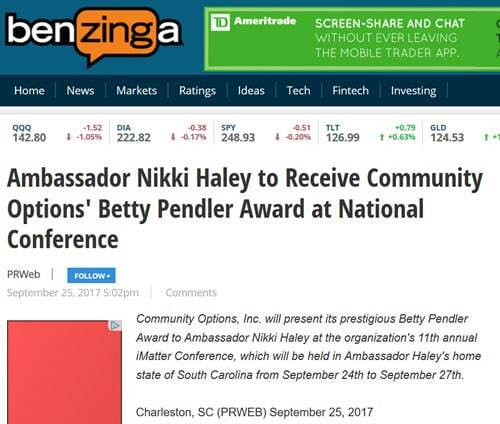 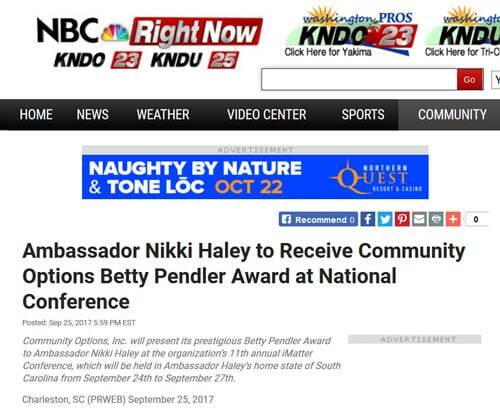 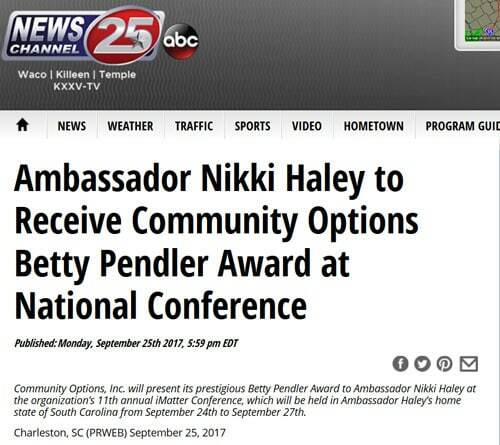 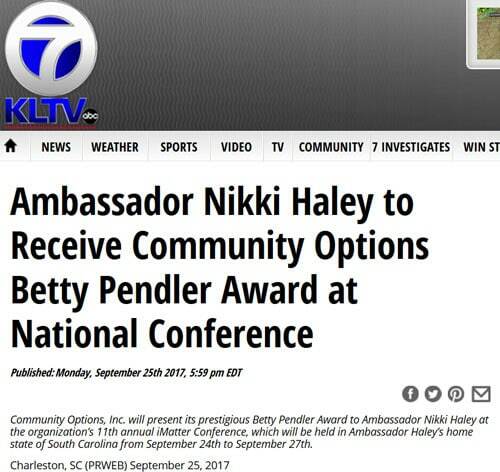 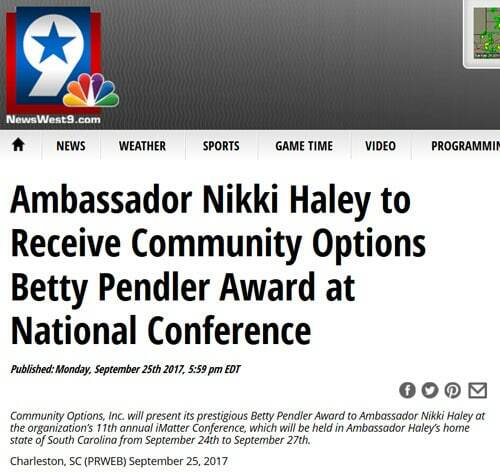 September 25, 2017, Princeton, NJ – Community Options, Inc. will present its prestigious Betty Pendler Award to Ambassador Nikki Haley at the organization’s 11th annual iMatter Conference, which will be held in Ambassador Haley’s home state of South Carolina from September 24th to September 27th. 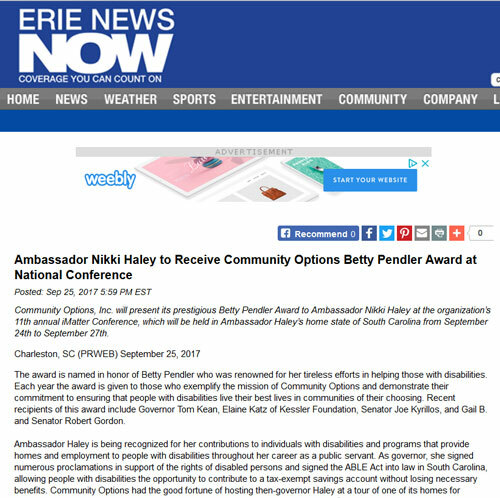 The award is named in honor of Betty Pendler who was renown for her tireless efforts in helping those with disabilities. 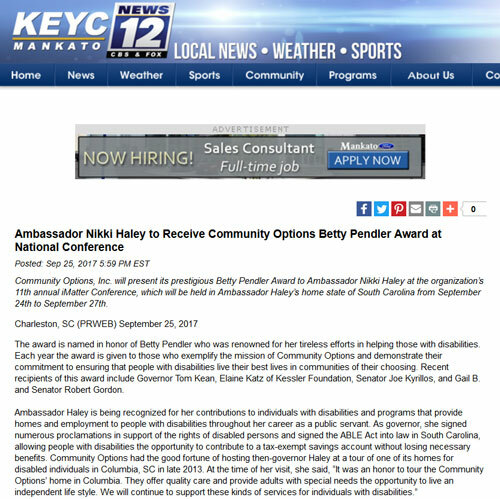 Each year the award is given to those who exemplify the mission of Community Options and demonstrate their commitment to ensuring that people with disabilities live their best lives in communities of their choosing. 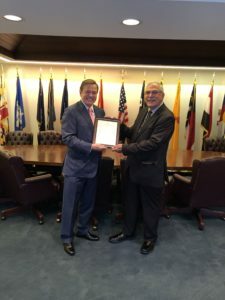 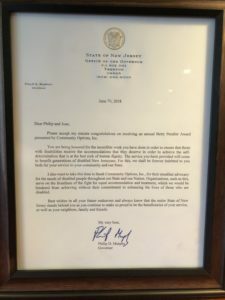 Recent recipients of this award include Governor Tom Kean, Elaine Katz of Kessler Foundation, Senator Joe Kyrillos, and Gail B. and Senator Robert Gordon. 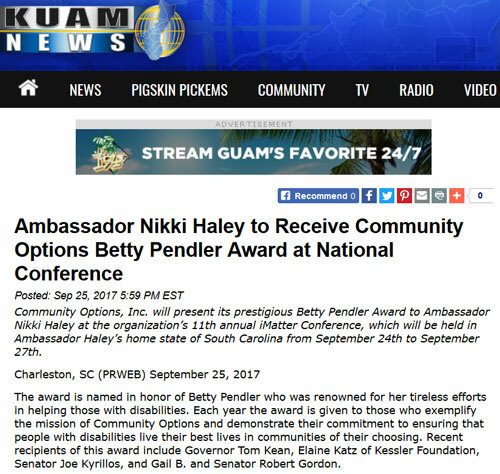 On Tuesday, September 26, 2017, Stack, along with Community Options’ board chair, Phil Lian, of Princeton, NJ, will present the award to Ambassador Haley. 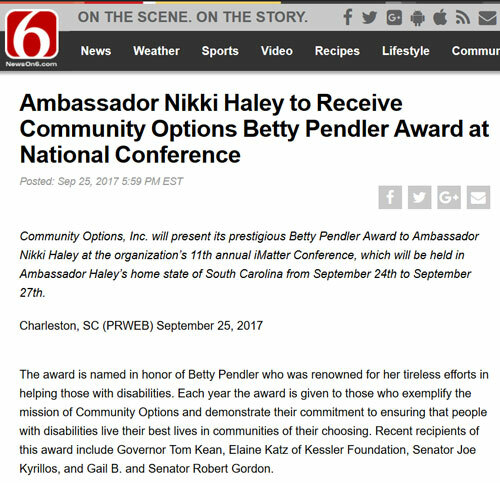 It will be accepted on her behalf by her former chief of staff, Swati Patel, at the Community Options iMatter Conference on Supported Employment held at the Francis Marion Hotel in downtown Charleston. 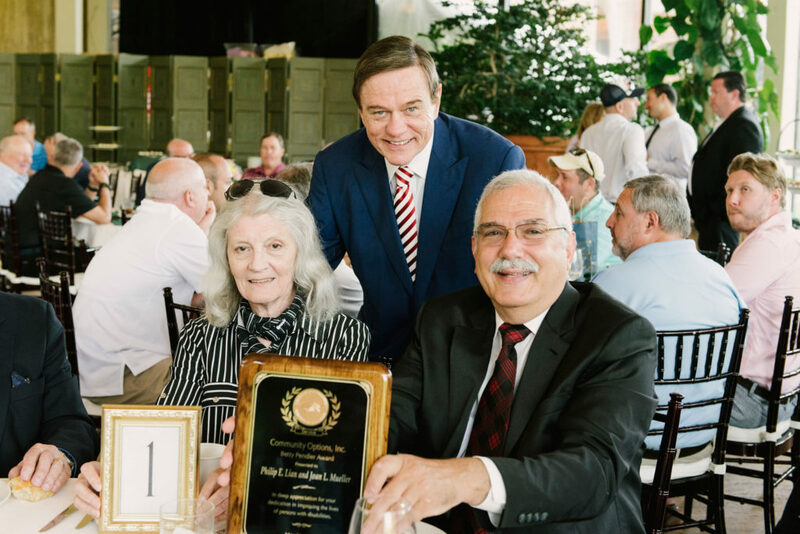 For 28 years, Community Options has developed housing and employment programs for people with disabilities – serving thousands of people through more than 40 offices across 11 states. 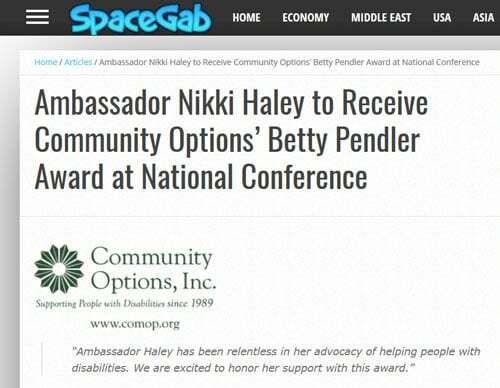 Community Options provides advocacy assistance to empower people with disabilities because all people – regardless of ability level – should live and work in the community with dignity, choice and self-determination. 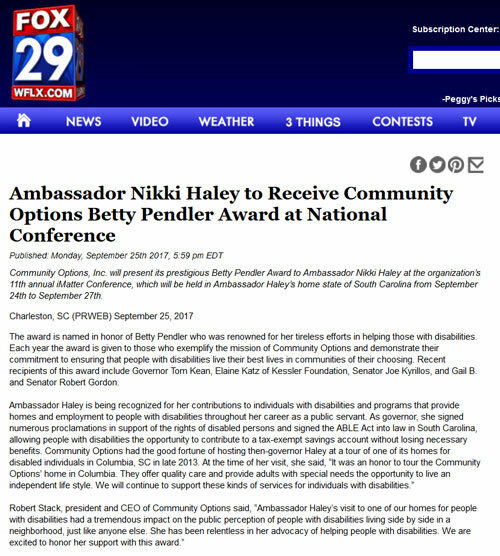 For more information please visit our website: www.comop.org and to follow along with the ComOpCares campaign, search #ComOpCares on Facebook, Twitter and Instagram.